On top of the hill dominate the monastery and the picturesque church of St. Antonios built in the 161h century. Lower are the ruins of one of the four Venetian castles on the island and traces of many old small churches. It is only a 20 minute walk up the hill and the view from the top is truly breathtaking. At the north -west of the village, inland lies the beautiful monastery of St. George, in height of 300m, of superb Cycladic architecture. Both monasteries are fully recommended as they offer great religious and historical interest. As monuments they are the most attractive walking activities Paros offers. Let yourselves enjoy the magic and luminous nature and you will be wonderfully astonished. In Marpissa you can also find full tourist amenities. Throughout the village there are rooms and apartments to rent, supermarkets, butcher’s, pastry shop. chemist's, medical centre. 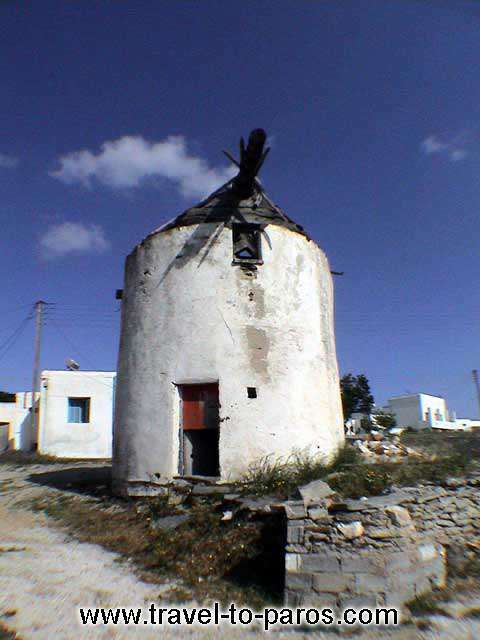 Walking round Marpissa visitors have the opportunity to see the traditionally built houses, the windmills,the beautiful Cycladic narrow white-limed slating paved roads and the numerous churches built in the 16tb and 17tb century.